Do you remember when you were 11? Australian filmmaker Genevieve Bailey traveled the world for six years talking with 11-year-olds to compose this insightful, funny, and moving portrait of childhood. From an orphanage in India to a single-parent household in inner-city Melbourne to bathing with elephants in Thailand, I AM ELEVEN explores the lives and thoughts of children from all around the world. Help us raise money to sustain our educational programming by bidding on exciting raffle prizes! 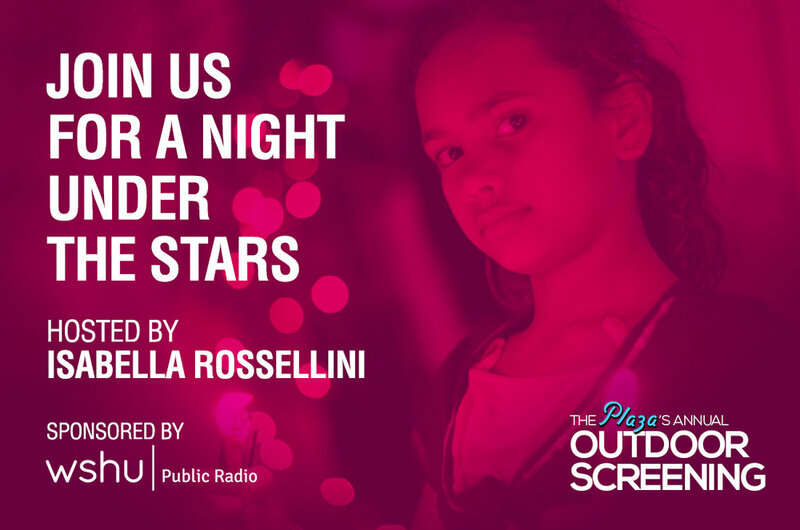 Media Arts programming is a vital part of a well-rounded education.Help support The Plaza’s growing educational programs by attending this exciting event! Gather at Isabella Rossellini’s farm to celebrate our media arts classes and learn about our in-school programming. Together with Isabella Rossellini, we will honor the students who have participated in our media arts classes by showing their work on the silver screen. Guest speakers will be present to discuss the Plaza’s in-school and out-of-school programs. The event will take place at Isabella Rossellini’s farm. Parking at 279 South Country Road, Brookhaven, NY, 11719. Look for Plaza signs and banners. Please bring your own lawn chairs and blankets. Do not bring a picnic or alcoholic drinks. Snacks and beverages are available for purchase. *In case of rain on September 15 your tickets will automatically be good for the rain date on September 21. There will be NO refunds. For up-to-date weather information we encourage you to check The Plaza’s website, social media, or your email by 1PM.